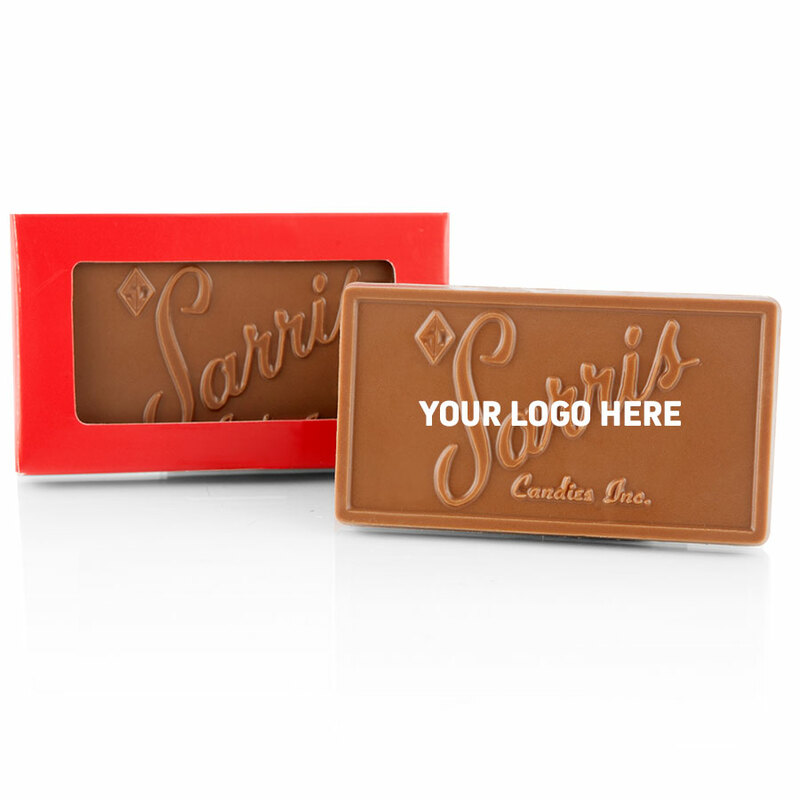 3.5" x 2" business-card-sized logos in milk, dark or white chocolate. Each solid piece is displayed in your choice of a red, gold, silver, black or white window box that frames your logo. A one-time $250 set-up charge applies for new logos.